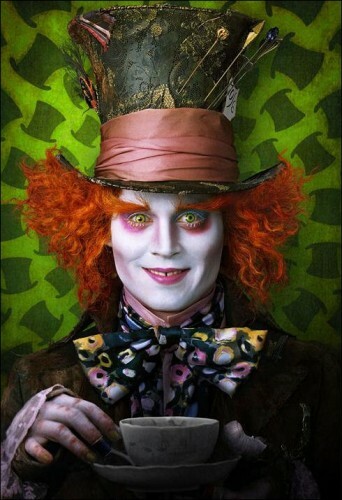 In addition to Tim Burton’s directing, the visual effects, animation, and make-up teams had a large part in bringing the characters to life in Alice in Wonderland. 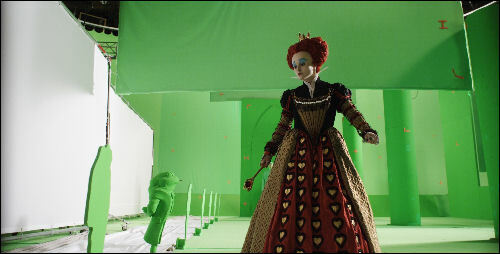 The actors shot most of their scenes on a green screen, and then their surroundings were added in post production. Burton and his editor Chris Lebenzon handed over a rough draft to senior visual effects supervisor Ken Ralston and his team at Sony Imageworks to create computer generated images and animated characters.